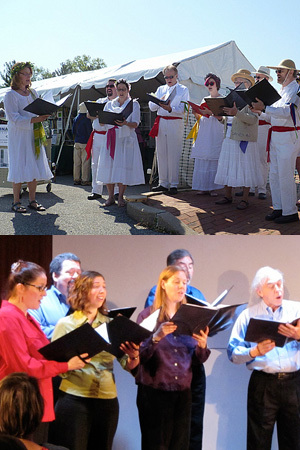 Washington Revels Gallery Voices was formed in 2002 by Elizabeth Fulford and performs at outdoor festivals, on several area concert series and at special events. 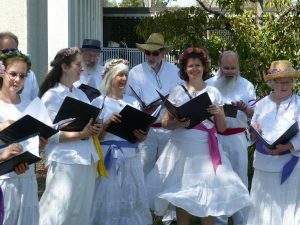 They perform annually at the U.S. National Arboretum and have also appeared at the Sidney Harman Center for the Arts, Glen Echo, Washington National Opera Ball, the Corcoran Gallery of Art, and the Washington National Cathedral. 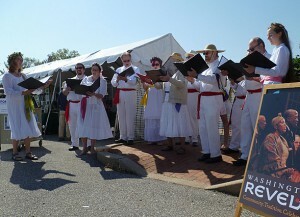 Gallery Voices performs annually at the Friends of the National Arboretum (FONA) Garden Fair. 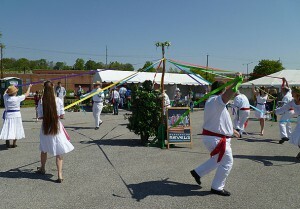 Gallery Voices dancing the Maypole at FONA and a visit from the Green Man. 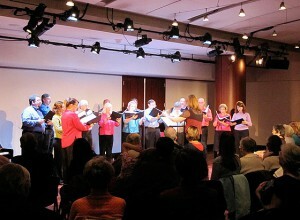 Gallery Voices performing madrigals and part songs at Happenings at the Harman. 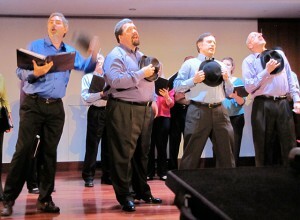 The group performing “Brush Up Your Shakespeare” in a performance at Happenings at the Harman. For more information about Washington Revels Gallery Voices, and to explore hosting a performance at your site, contact Ross Wixon at rwixon@revelsdc.org or (301) 830-4402.